From the snow….to the sand. Luke is a well traveled young man. We left for Ohio on Monday morning. 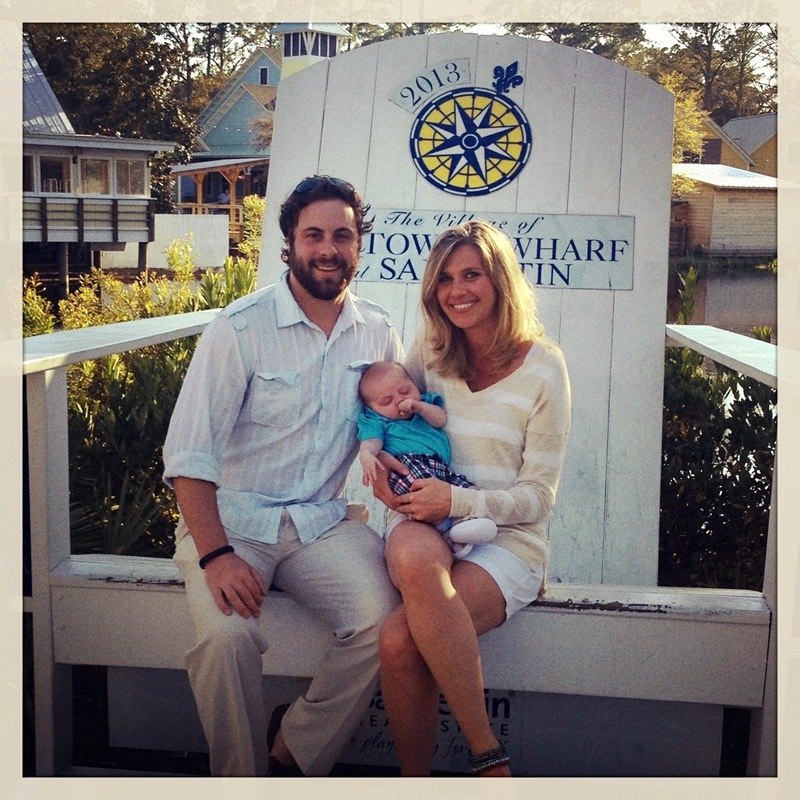 Luke’s first trip to Ohio was filled with family, friends and snow! He was a fantastic passenger on all the flights to and from Columbus. I was pretty nervous about flying with a 7 week old baby, but mom was a huge help. There is no way I could have flown without her. Luke had the chance to meet a lot of our old school New Albany friends, and most of the family. The real highlight of the trip up north was visiting with Grandma Susie. 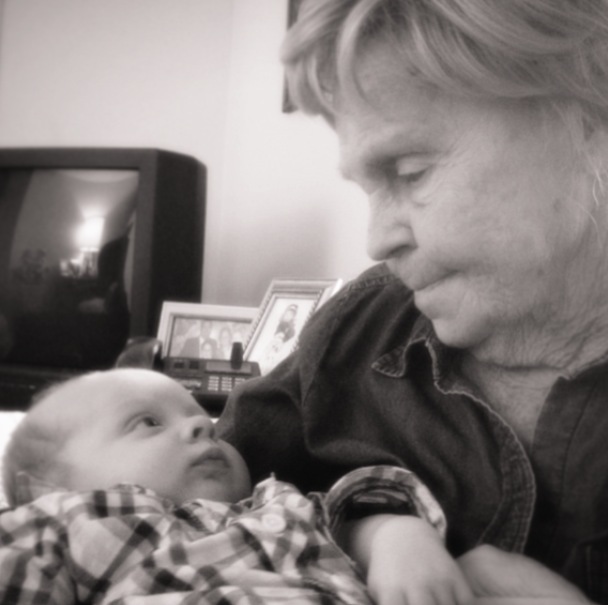 Luke’s great-grandmother is 94, and she couldn’t possibly love him anymore! 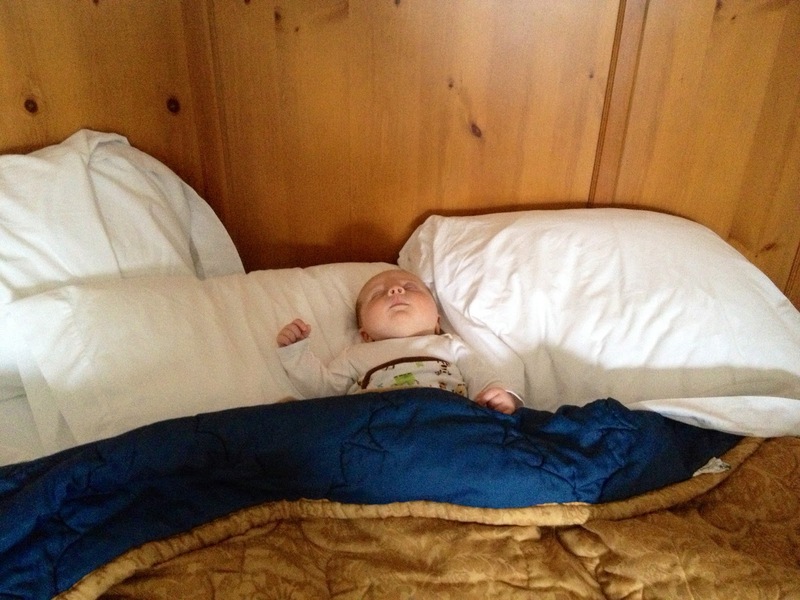 Grandma held him, rocked him, and loved on him all day. We are so blessed to have her in our lives. It snowed during our trip to Ohio. 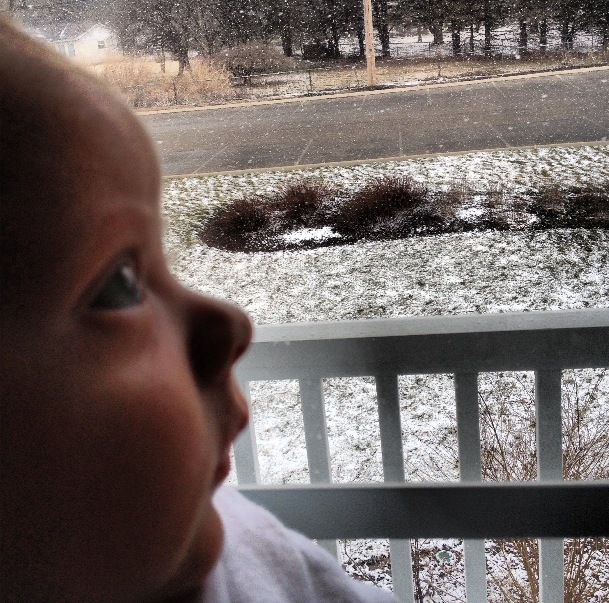 It actually was a pretty snowfall, and I am glad Luke had a chance to see it….and leave it. We flew back to Birmingham on Thursday, did a few loads of laundry, and repacked our bags. Friday morning, Jeff, Luke and I loaded up the car and took off for Destin. Yolo & Spring Break ’13, baby. The weather on Saturday was simply breathtaking. It was about 74 degrees, and not a cloud in the sky. We camped out on the beach from 9:30-3:00. Luke slept for the most part under the umbrella. We had him covered up really well, so he wouldn’t get any sun. Destin is a pretty special place to us. It is where Jeff and I took our first trip together…where he proposed… and where we were married. It was only fitting to take Luke there at an early age. 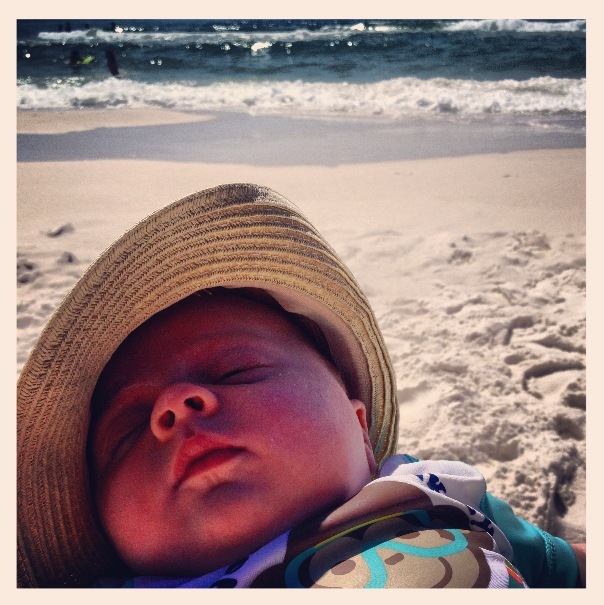 So, from the snow… to the sand…our little man had a very busy week. Here’s to hoping the excitement wore him out and he will start sleeping a little better. Meanwhile, back in Birmingham… Bud managed to light himself on fire, melt his Mercedes key, and boycott Sears for life. But, that’s a blog for another day….